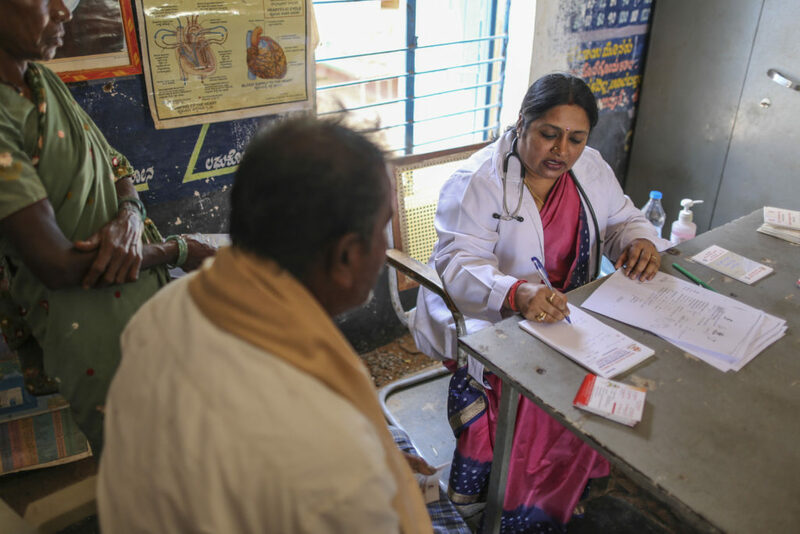 Podiatrist Vinaya A.S. has bumped across southern India in a bus-turned mobile clinic for 17 years, going village to village checking feet for the ulcer-causing effects of diabetes. These days, her key to staving off limb amputations comes down to one thing: food. Millets, to be precise. 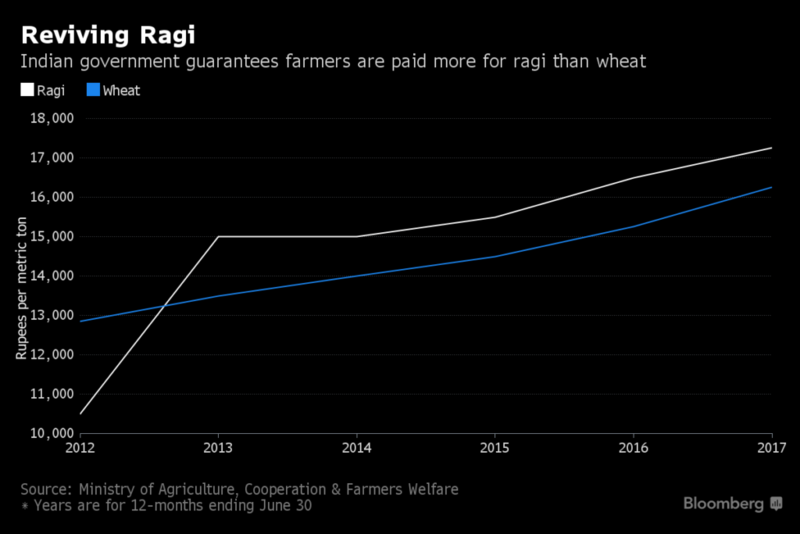 The ancient grains were a staple in India for thousands of years, but largely spurned since a so-called Green Revolution last century led to cheaper, more abundant supplies of refined rice and wheat flour that can bolster blood-sugar. Now a surge in type-2 diabetes is pushing doctors and government officials to recommend a return to wholegrains, like “ragi” or finger millet, that healthfully sustained previous generations. Healthy food choices are becoming critical in India, where diabetes is ripping through the population with deadly consequences. The number of adults living with the disease has risen more than five fold since 1980, though more than half of sufferers aren’t awarethey have it. Left uncontrolled, high blood-sugar levels can damage organs and tissues, including the nerves and blood vessels in the feet, making them susceptible to injuries that fail to heal and eventually turn gangrenous. When that happens, amputations can be life-saving. 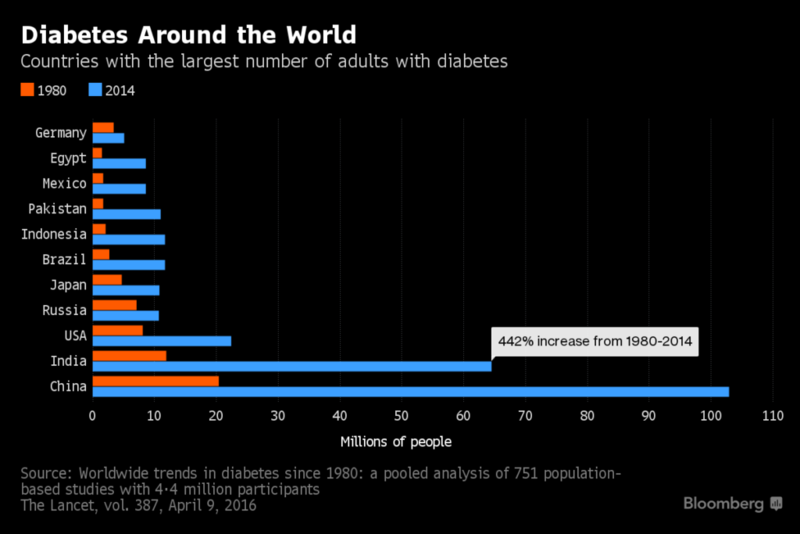 Onset of diabetes occurs about a decade earlier in Indians than in North Americans and Europeans. 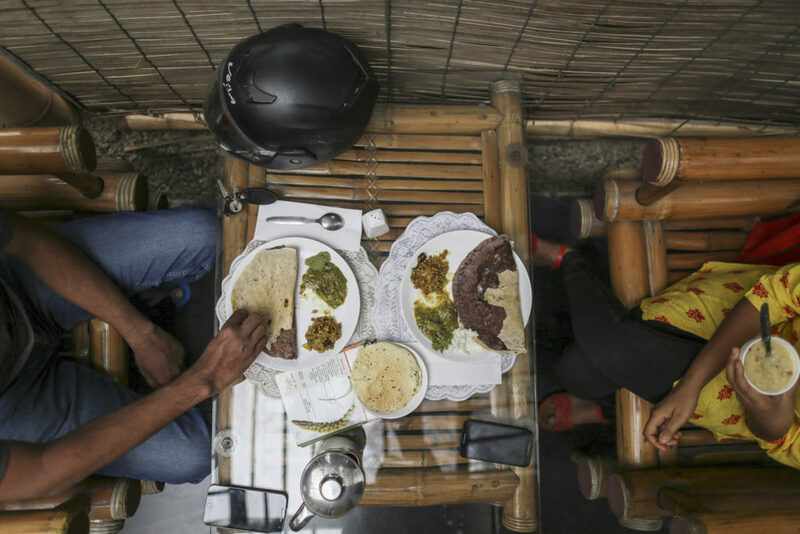 About a third of Indians with the obesity-linked disease are thin, suggesting that too many calories isn’t the only diet-related problem, said K. Srinath Reddy, president of the Public Health Foundation of India. Modern Indian meals lack fiber, which protects against diabetes, and are high in white rice and other refined carbohydrates, like wheat flour, used to make “poori,” or deep-fried bread, and samosas, a deep-fried, vegetable-containing pastry. Such energy-dense foods cause spikes in blood-sugar that weaken the body’s response to insulin and, when eaten regularly, can eventually lead to type-2 diabetes. There were 69.2 million adults living with diabetes in India in 2015, according to the International Diabetes Federation. 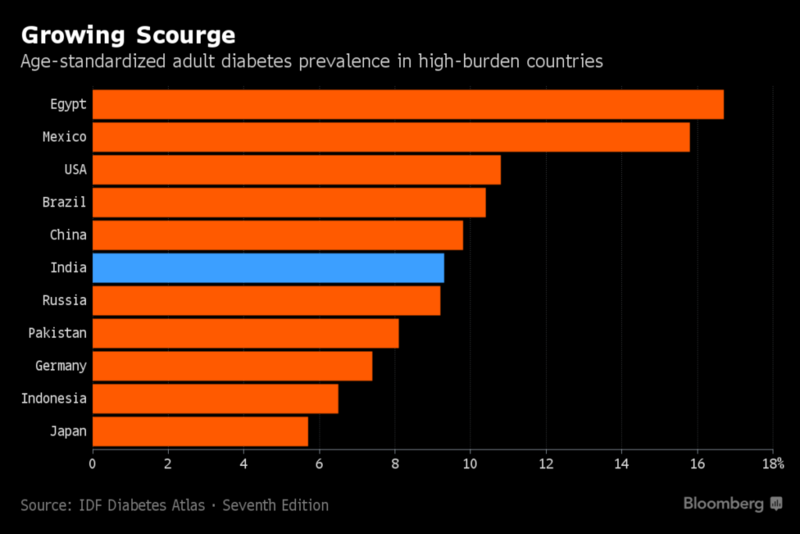 Complications such as stroke, kidney failure and blood-poisoning from festering sores kill more than 1 million annually and the country will have 123.5 million diabetics by 2040 unless trends in overweight and obesity are curbed, the Brussels-based group predicts. Health awareness is motivating India’s urban upper crust to seek out so-called superfoods, such as steel-cut oats and quinoa, a type of edible seed from South America, but millets — an umbrella term for many small seeded grains — have been slower to catch on, said Krishna Byregowda, the agriculture minister of Karnataka state. “Why are we forgetting our own superfoods while buying and adopting imported oats and quinoa?” he asked a crowd at a three-day Organics and Millets National Trade Fair in the state capital, Bangalore, last month. Byregowda is spearheading a campaign involving chefs, nutritionists, doctors and food businesses to bolster demand for a grain he grew up eating as “ragi mudde” — finger-millet flour cooked and shaped into soft mounds and served with leafy greens in a spiced gravy. His farmer-ancestors grew it not just for its nutritional benefits: the crop needs a third of the rainfall of rice. 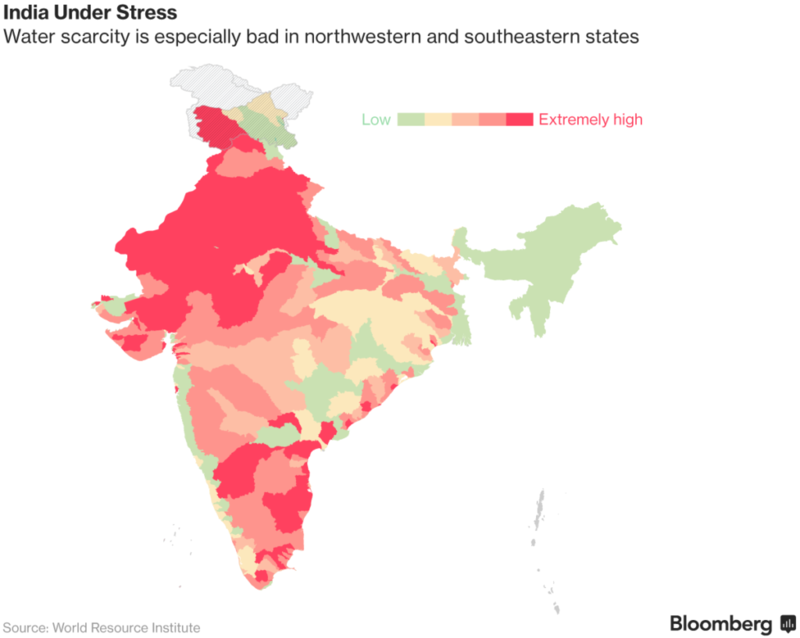 Yet, millet and sorghum production have declined by a combined 51 percent in India and rice and wheat output has almost quadrupled since the 1960s, when a Green Revolution introduced modern seeds, chemicals and irrigation to boost harvests and stave off hunger. 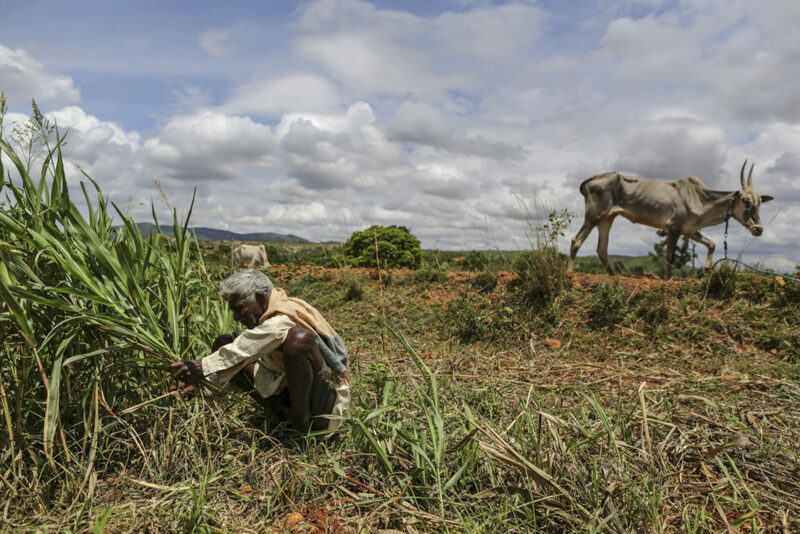 Drought-induced crop failures in recent years in southern India have convinced the 44-year-old American University graduate of the need to return to growing millet. 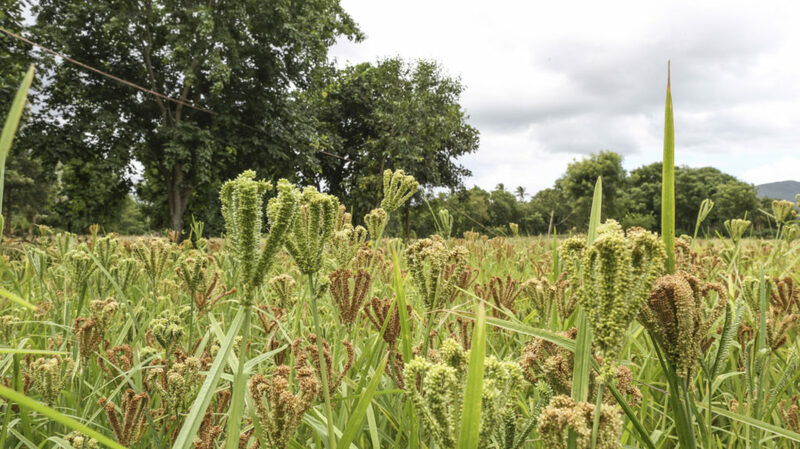 The government of the neighboring southern state of Tamil Nadu has allocated 8 billion rupees ($124 million) to subsidize the cultivation of millets and pulses, and restaurantsin the capital, Chennai, are catering for a growing appetite for millets. P. Sathiya Moorthi sells biscuits, biscotti and sweets from the grain to customers working at the local Hyundai Motor India Ltd. factory and Cognizant Technology Solutions Corp.’s offices. In Hyderabad in Telangana state, Narayana Peesapaty and his wife Pradnya Keskar have found another culinary use for the grain: edible spoons costing a few cents apiece. “Ancient grains are making a comeback in people’s diet, and very slowly into the fields,” Hazra said. A review in 2014 of sorghum and millets — used as livestock fodder and birdseed in some countries — found they contain health-enhancing properties, though more human clinical trials are needed to assess their direct dietary benefits. They contain more fiber, more micro-nutrients and probably have a smaller blood-sugar impact than refined carbohydrates, said Jennie Brand-Miller, professor of human nutrition at the University of Sydney. 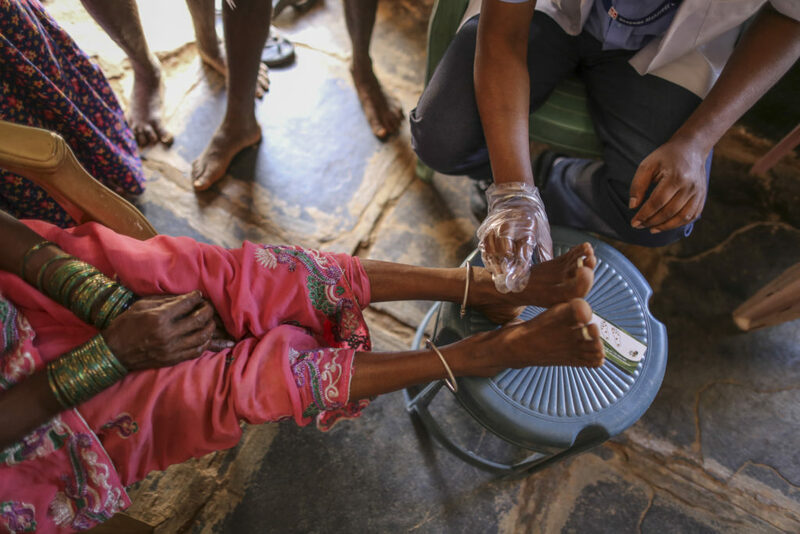 For podiatrist Vinaya, they are much healthier alternative to the fast-foods, sweetened soda drinks and rice more of her patients are consuming. Of the 60 people who turned up for last month’s free clinic—in which her team checks blood flow to the foot, nerve sensitivity and blood-glucose, 27 were found to have diabetes, she said. Unchecked, that can lead to foot sores that ulcerate. Her hospital in Bangalore does 30 to 35 foot amputations a month because of diabetes. In at least three of these cases, an entire lower limb needs to be amputated to prevent gangrene causing lethal blood poisoning, or sepsis. To London-trained Vinaya, who runs the diabetic foot clinic at Bhagwan Mahaveer Jain Hospital, the link between diet and lifestyle changes and the rising incidence of diabetes has strengthened based on data her team has gathered from 2.4 million people in 350,000 households across 1,700 villages — the largest such diabetes study in the world.